-Each order is handmade after ordering and currently takes 3-4 weeks to be completed! I have been hand creating these masterpieces for two years now and am always open to trying new ideas for color/styles so message me if you have something particular in mind! 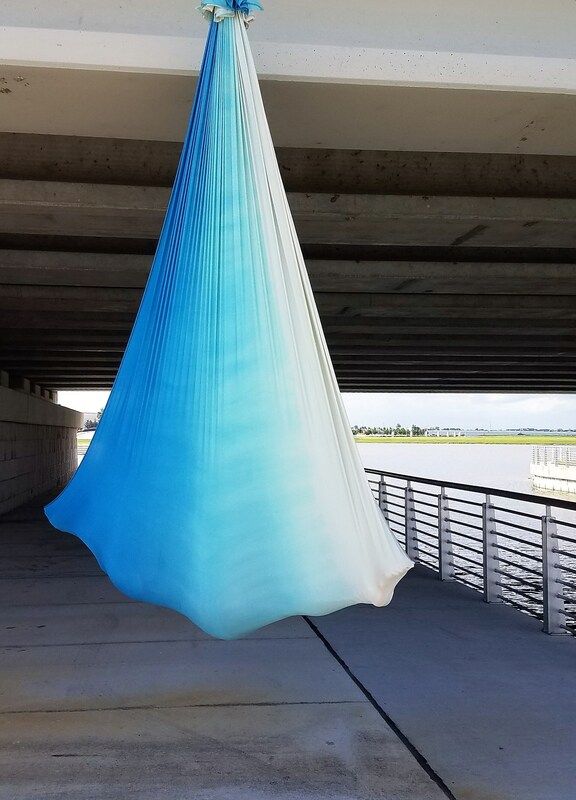 My hammocks are a single sling for Aerial/Anti-Gravity Yoga (5.5yards) The fabric is super soft and perfect for napping, stretching, inverting, flipping and tricks! 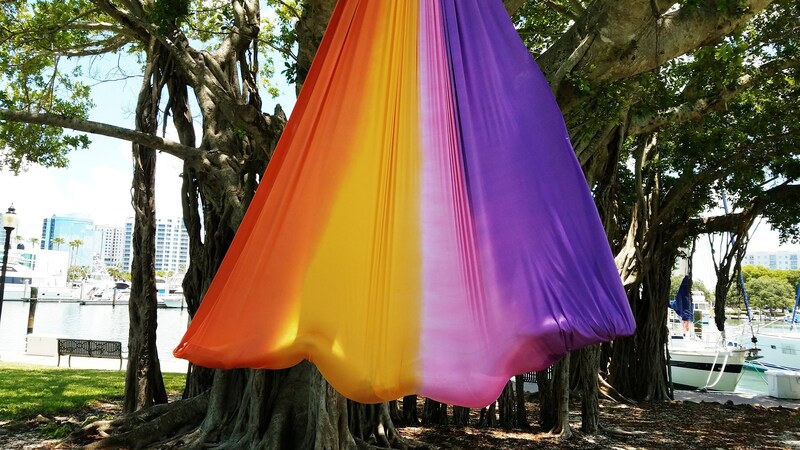 They are machine washable and provide the ideal stretch for aerial yoga hammocks, just enough give without being too stretchy! Instructions for washing, tying and hanging come with the package! 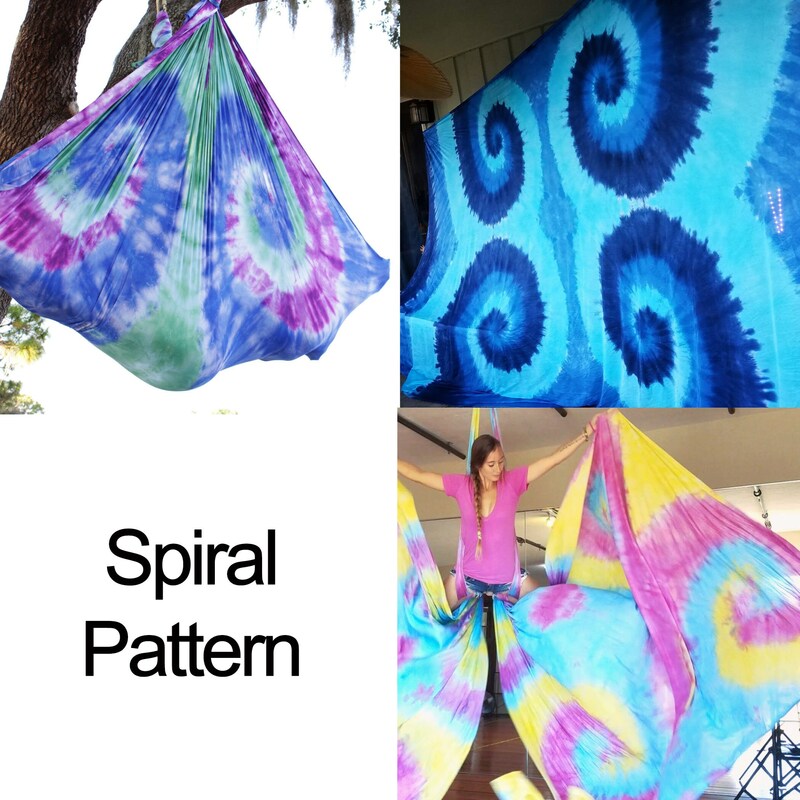 Listed below are my favorite patterns and styles but I am happy to work with you to create a custom style! 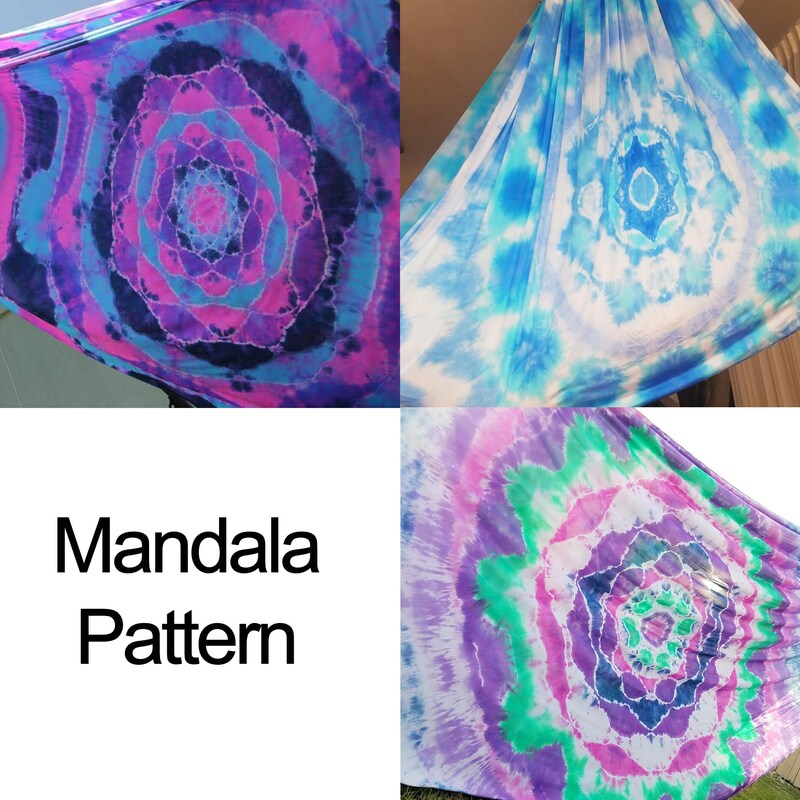 MANDALA TYEDYE: Pick 2-4 colors to create a mandala style design on the fabric. STRIPES PATTERN: 2-4 colors of dye that had been painted across the fabric in stripes. Creates a feel of a watercolor painting. 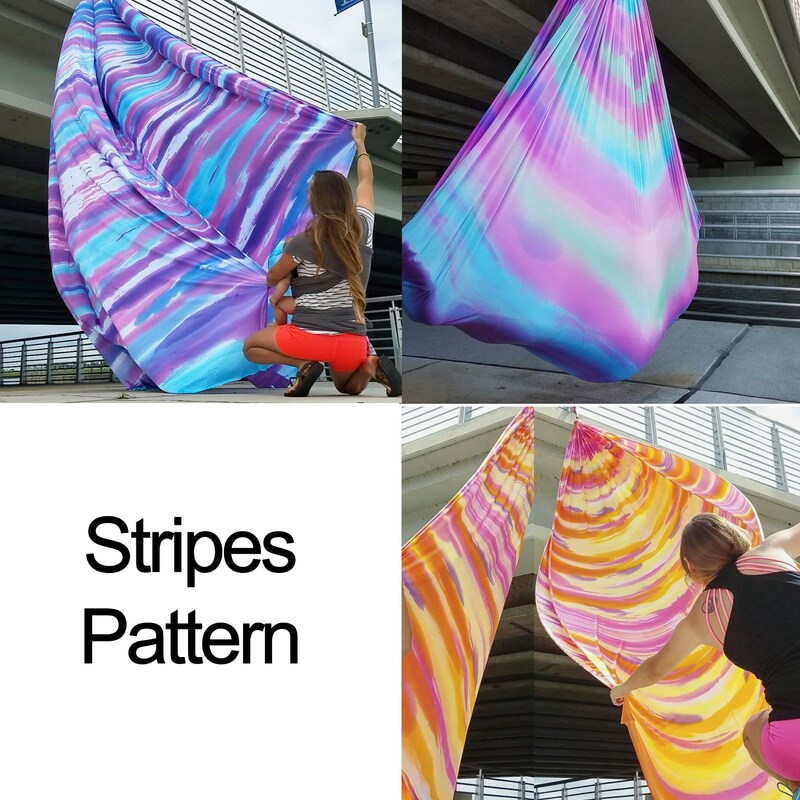 CRINKLE PATTERN: Color that is randomly spread throughout the fabric to create a marble effect. Typically one color. 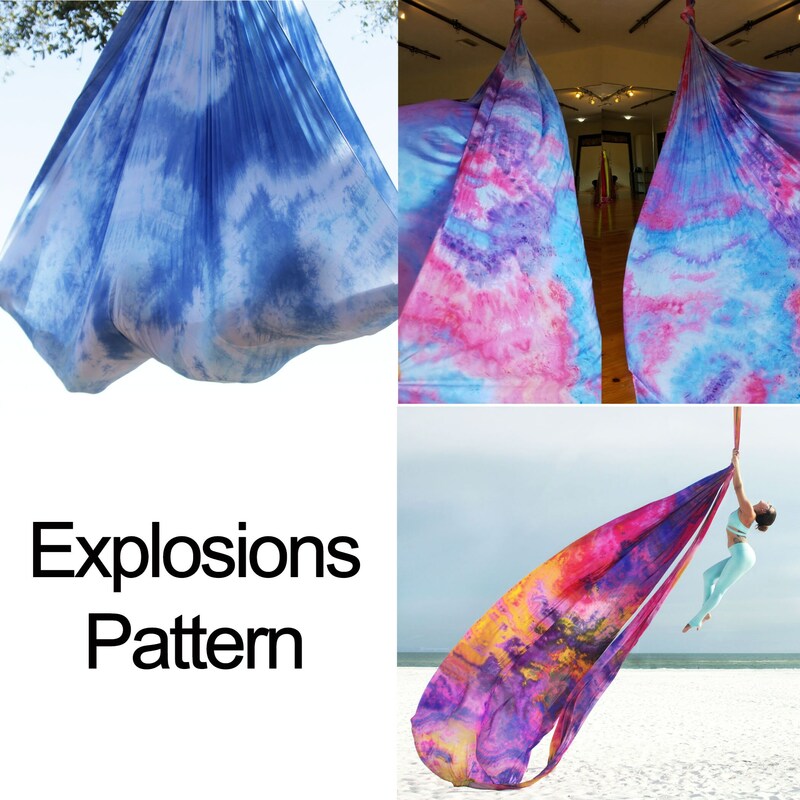 EXPLOSION PATTERN: 2-4 Colors that are randomly spread in bursts throughout the fabric. Creates a crystal geode or galactic stars feel. CUSTOMS: lI am happy to discuss creating a color scheme right for you! 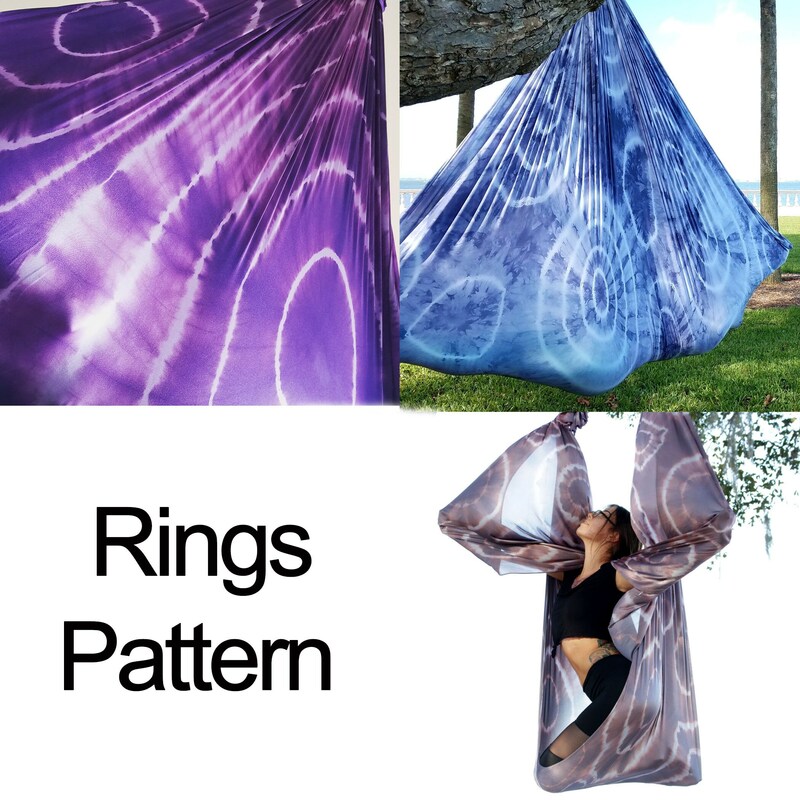 Message me to discuss a creation unique to you! 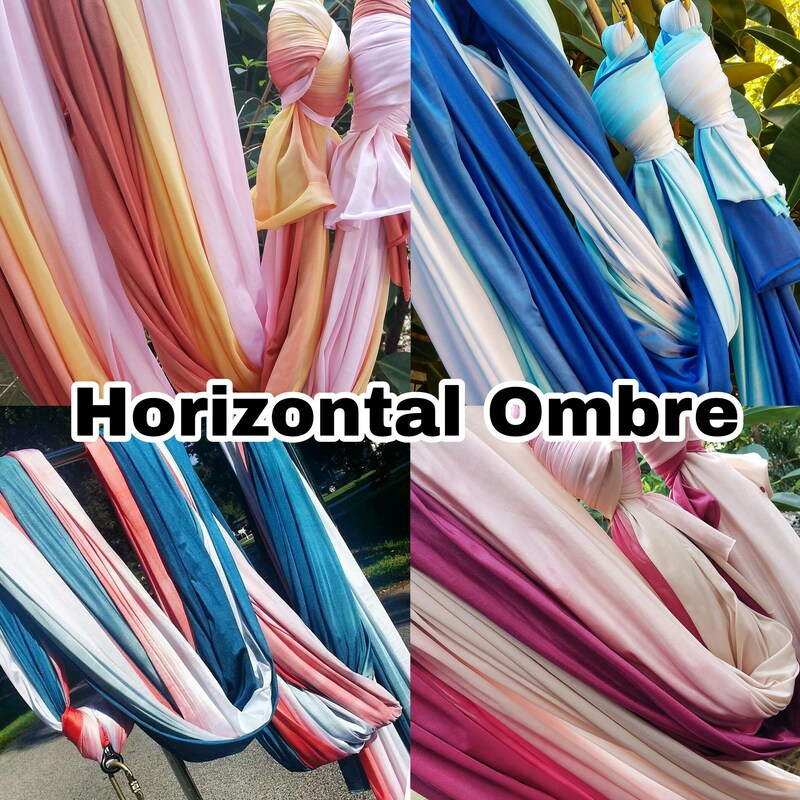 Ordering means you understand that each hammock is UNIQUE and colors/gradients can vary! I LOVE my hammock. It’s gorgeous, and so soft. 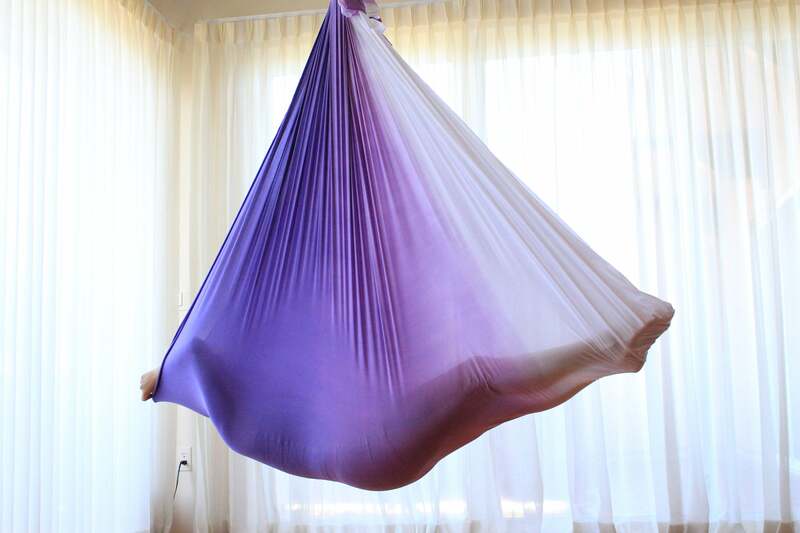 It’s the perfect addition to my aerial addiction!